“Needy” people put up with behavior from their significant others that most people would not tolerate.They frequently seek reassurance and are vigilant to any sign of rejection or threat to their relationship. 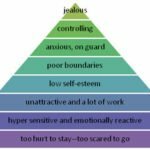 They are quick to feel jealous when they shouldn’t be and are ineffective when they should be using boundaries. Needy people’s behavior and emotions are fear driven and reactive. It pushes their partners away rather than drawing them closer. What becomes of their relationship depends on their ability to stop making it their partner’s “job” to love and reassure them. It also depends on their ability to become effective in dealing with damaging behavior. Needy people feel like they are accomplishing something when they are reactive. They fail to see that they have actually not accomplished any positive change. They just create more and more distance until their relationships end. Early identification of neediness is most helpful, but it is never too late to change. Anyone can learn how to get love and respect from their spouse or partner. Unfortunately, most needy people don’t recognize they are needy. The way they see relationships is the way they think others see relationships. Here are 12 ways that neediness may be hurting your relationship. Are you free from all 12 of those characteristics? Many people confuse neediness with dependence. The fact is that you can be very able to take care of yourself and yet still be very needy. Communication is more than giving information. It is the way we connect from surface level to deep intimacy. The way we talk either makes us closer or more distant and even one word can make a difference. Early in relationships, we talk naturally in a way that builds our relationships. As our relationship develops, we settle back into our pre-relationship ways of talking. So, people with a history of close relationships are going to do better talking in long term relationships. Those with a history of relationship problems are not as good at maintaining the kind of talk important to keeping love alive. They talk more and more in ways that make their relationship unenjoyable for their partner. Secure people continue to talk in a way that makes their partners feel acceptable and desirable. Insecure people, who focus on their own needs, talk in a ways that make their partners feel unacceptable. This causes their partner’s love to shut down more and more. This, in turn, makes the needy person be more and more rejecting. This downward spiral ends the relationship. If you were your partner, how much would enjoy hearing what you have to say? Some couples do a lot together, while others don’t. Some of our partners will want to spend most of their time with us. Others will want to spend more time alone, with friends, or involved in a career. This is not a problem if we and our partners are similar in our needs for togetherness and attachment. There is no right or wrong about it about how much we should be together. Problems arise when one person desires more intimacy and togetherness than the other. In this situation, one partner will use communication to try to pull their partner in, while the other uses communication (or lack of it) to push their partner back. This push-pull will gradually increase the emotional distance in the relationship. Needy people react to the increasing distance by pulling even harder, communicating in more angry and controlling ways, resulting in their partners pushing away even harder. Secure people will become involved with other activities, lessening the pressure on their partners. As a result, their partners will enjoy their time with them more, and have less need for space. Needy people don’t understand that secure people don’t always want to be close. The needy person thinks that everyone wants to have as close of a relationship as they can, all the time. The fact is, most of the time, people don’t want to be as close as possible. People actually want to be as close as possible only sometimes, while at other times they would rather be with friends, or by themselves. They are not less committed to their marriage or relationship at these times. However, they they need these times to balance out their lives and appreciate their relationships more. Couples need to have regular time together and apart. They need to have some time which will not be intruded upon by the other. They also need some time when they don’t need to report in. For some couples, one partner wants to have much more closeness than the other, even though at first they may have both felt the same. This is why it is so important to get past the infatuation phase before committing to someone.. When their are large differences in desire for closeness, compromise is difficult. Large differences of any kind cause more conflict. When compromise does happen, each person has to give up either some independence or closeness. A tension then hangs over the relationship because neither partner is really satisfied. This begins to build an internal pressure inside of each partner. 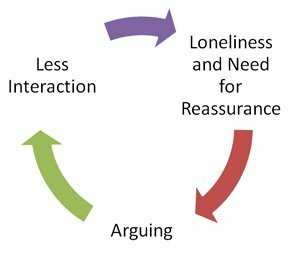 The competition for independence and closeness by the partners can result in a roller coaster relationship that alternates between closeness and distance. The end result is that neither person is truly satisfied, but each gets some of what they want. This makes the relationship kind-of work. In other cases, rather than compromise, one partner gives in to the desires of the other. The more needy partner “temporarily” (they think) sacrifice their need for a close relationship in order just to maintain the relationship. Or, the less needy partner “temporarily” sacrifices time with friends or individual time. These sacrifices only postpone inevitable conflict. The giving in will help one spouse to enjoy the relationship while the other one becomes resentful. Resentment is an enemy of maintaining feelings of love. If it was the needy person who gave in, the relationship is likely to continue, but to be very unhappy. If the secure spouse gave in, he or she may divorce or have an affair as a solution to being happier. In situations like this, the needy partner will experience the rejection as sudden and as “coming out of nowhere.” Needy people often see danger when it is not there, resulting in mistrust. 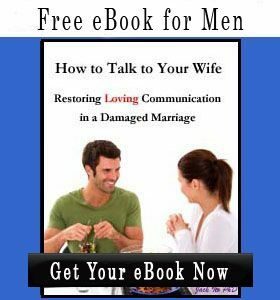 Needy people also often do not see breakup or divorce warning signs for what they are. Even in this situation however, there are six steps you can follow for how to save your marriage. The most common outcome is for the secure spouse to end the marriage, in search of a more secure and accepting partner, or simply to feel free. At this time, the rejected needy person can become like a “fatal attraction,” with desperate and damaging behavior. He or she may continue to cling to a spouse who burned out on the marriage or relationship. This is at a time when he or she wants nothing more to do with it. If the relationship is to be saved, such repulsive desperate and clinging behavior must stop. A different kind of outcome occurs when one spouse has a strong need to be parental, and to take care of the needy spouse. This kind of marriage can be very stable and long lasting. Both partners can feel secure and important. One is needy and receives care; the other is needed and gives care. Close, two way sharing cannot occur, however. The way to a closer relationship in this case is for the parental partner to be less caring and more empathetic. The parental role needs to be given up in favor of a more romantic and equal role. Also, the needy partner can learn to be more independent. Also a transition from less of a child to more of a romantic and equal partner. Partnership relationships (equal level) are required for maximum closeness. 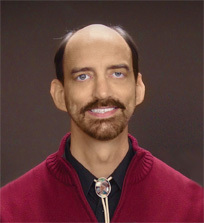 A less likely, but possible outcome for a needy and distant relationship is for the needy person to become less needy. 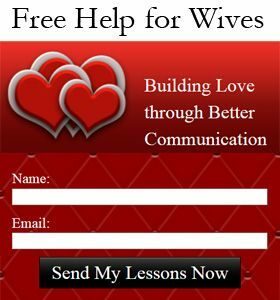 The needy spouse has to learn new ways of interacting which are neither controlling nor submissive. He or she has to work on developing some independent goals and friendships, while supporting the same in his or her spouse. He or she also has to improve self-care and learn how to not be “punished” by his or her spouse’s behaviors. It is a difficult transition for needy people, because they fear rejection and interpret any signs of anger from their spouse as failure. A good way to start this process is to use a book such as, Overcome Neediness and Get the Love You Want. People with severe insecurity will benefit from some combination of counseling and coaching, decreasing their fears and learning essential connection skills. Sooner or later, the fears that needy people have, combined with their damaging way of talking of and behaving will end their relationships. Some people wait until they get to this desperate point to get help. While there are some effective things we can do, even at that point, my recommendation is that you take some steps now, to avoid getting to that place. The sooner you become less needy–more secure–the faster and easier it will be to turn your relationship in a good direction. A good way to start is by getting a practical book on overcoming neediness. If your relationship has already reached the point where whatever you do has no positive impact, you have two choices. 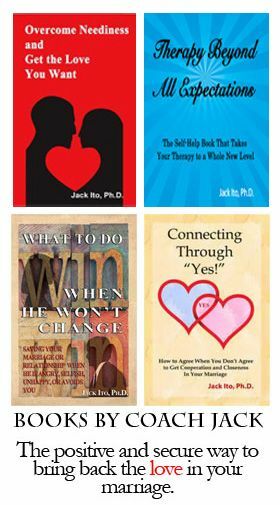 You can either start over in a new relationship or you can get intense help such as this coaching package for overcoming neediness.